Most developing countries face significant and sometimes dramatic challenges in generating stable jobs that provide reasonable incomes and decent working conditions. For developing countries that have undergone lengthy periods of economic stagnation, these challenges are especially acute, and popular dissatisfaction correspondingly marked. Paraguay is a case in point. It is unlikely that any "employment policy" could lead to a major improvement in the quality of labor market outcomes unless designed and implemented in a sophisticated and coherent way. Such an approach has been infrequent in developing countries in general, and especially so in those that, like Paraguay, also suffer severe institutional weaknesses of governance. 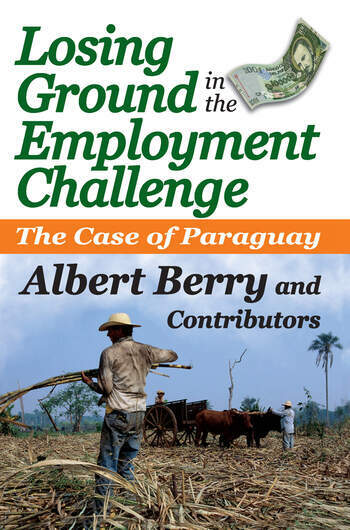 Paraguay's past failure in employment creation is mainly the result of a number of structural weaknesses described in this volume. Its current crisis is also the accumulated legacy of over a quarter century of economic stagnation and political failure fl owing from those weaknesses. The new reformist administration of President Fernando Lugo has raised hopes that the future might be better than the past. This study aims to contribute to improved policy making by analyzing the source of the problems and providing policy recommendations. The chapters describe the potential contribution of various policy areas in the face of a dauntingly negative track record and identify a number of steps that have to be taken if success is to be achieved. They put into perspective the reforms that have been undertaken to date by the country's previous administration. Paraguay's experience offers insight into the problems faced by other developing countries in today's global economy. The central message is that policy improvements must be made in a number of areas and implemented in a coordinated fashion for there to be any reasonable hope of success.